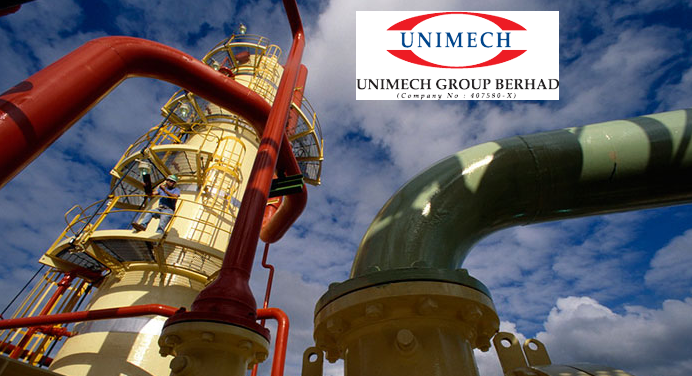 Unimech Group Berhad is one of the leading value add engineering business group in Malaysia. The initial business activities include designing, fabrication, installation, testing and commissioning of industrial equipment and plants for steam generation, heating and combustion systems, fluid conveyance piping works, as well as maintenance and overhaul of engineering equipment and equipment parts replacement services. In conjunction with the value-added engineering services, UGB also provides consultancy on air pollution control, exhaust stock design, plant and process monitoring and recording systems. Unimech Group Berhad exclusive distributorship rights of products involves the importation and distribution of engineering equipment and components such as oil and gas industrial burners, industrial steam and hot water boiler, electric steam and hot water boiler and thermal oil heaters, boiler and heat exchanger tube cleaning and descaling equipment, stainless steel ball valves (high pressure), steam control valves, traps and temperature control valves, industrial gauges, thermometer, electronic controllers and gas detection equipment, cast iron and stainless steel valves (high pressure), marine valves, butterfly valves, level and monitoring instruments, Italian brand in industrial bellow sealed valves. Unimech made a formidable entry to the Oil and Gas market and rides along the recovery of the oil market. This bold expansion to be one of the greatest catalyst in 2019 and beyond. Besides that almost 50% of Unimech business are overseas dominated business which on the other hand translates to a better earnings amid strengthening of US Dollar. 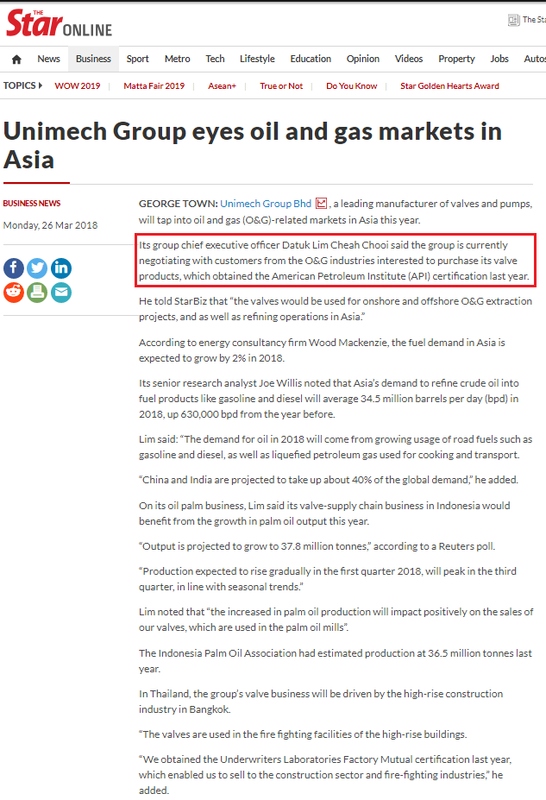 The group CEO Datuk Lim Cheah Chooi and the management also opined on the optimistic view that 2019 will be a better financial year than 2018, hence, as an investor, we should be monitoring Unimech 2019 performance tightly. 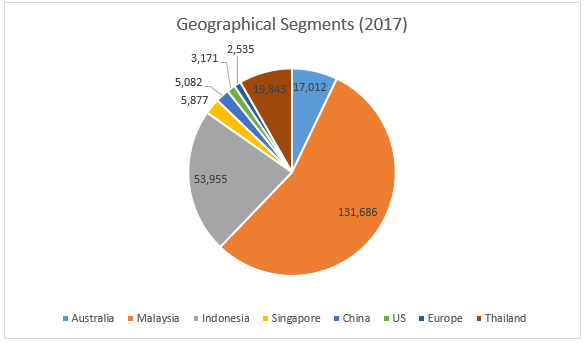 Revenue grew steadily at the rate of 8.71% CAGR for the past 10 years, and achieve a new high due to their aggressive expansion on the overseas market. Cumulative effective tax rate was at 33%, which is higher than the statutory tax rate due to the inability to offset subsidiary losses against the group profit, and the group earnings could’ve been bumped up deem normalize the effective tax rate. Earnings per share stood at 14.12 cents, at current price of 1.13, Unimech is trading at merely 9.55 times undemanding PE. 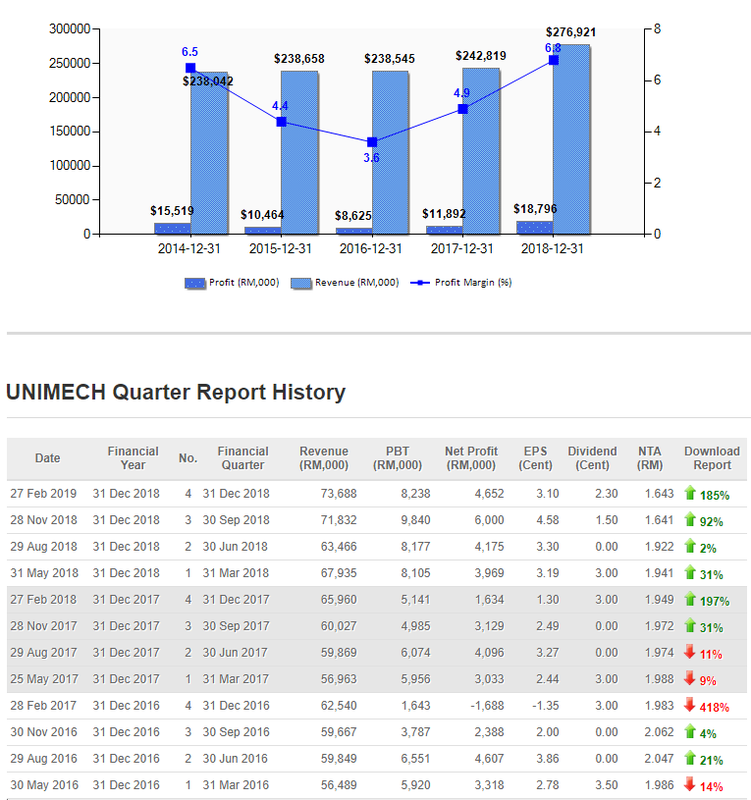 Unimech has been consistently paying divided for the past 10 years, and pay-out varies according to cumulative profit of the financial year. 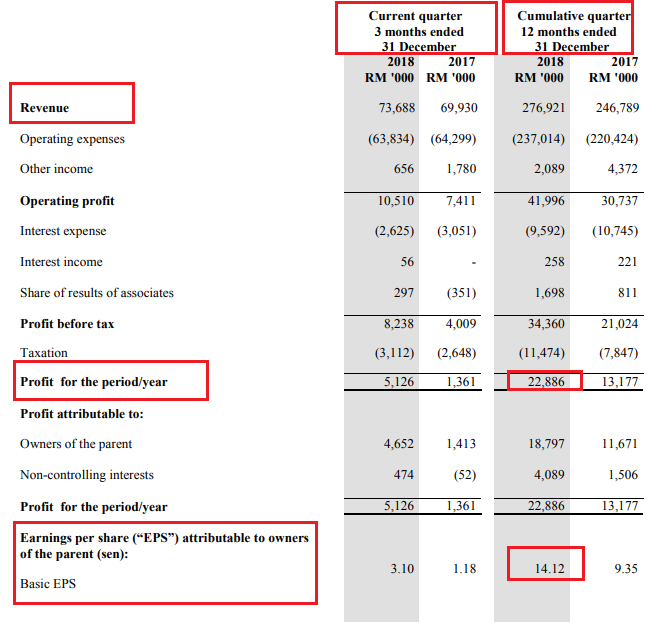 For FY2018, Unimech had declared 1.5 cents interim dividend and coming soon to be approved in the AGM will be additional 2.3 cents of Final dividend, which made the total pay-out of this year of 3.8 cents / share which is equivalent to 3.36% dividend yield. Cash and Bank Balances position has been increasing steadily over the past few years despite the fact that company has been generous in rewarding shareholders with dividends. 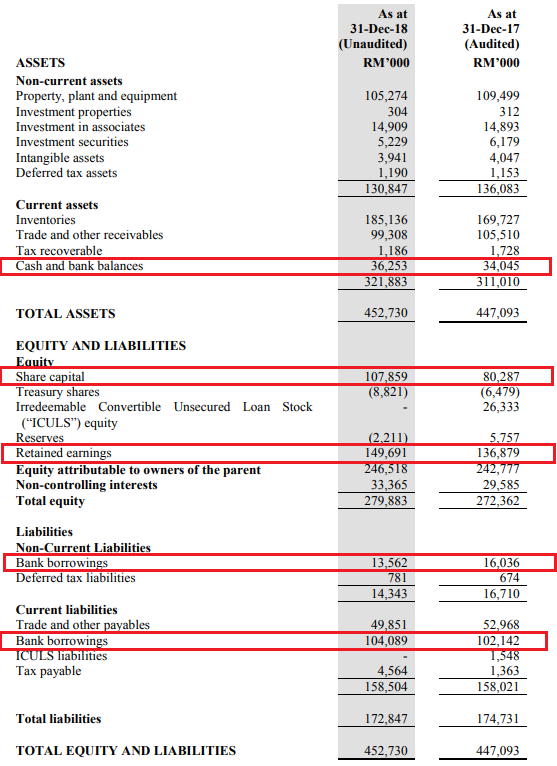 Share Capital versus Retained earnings, Unimech could even go for 1 to 1 bonus issue anytime do increase its share liquidity and to reward their faithful shareholders. 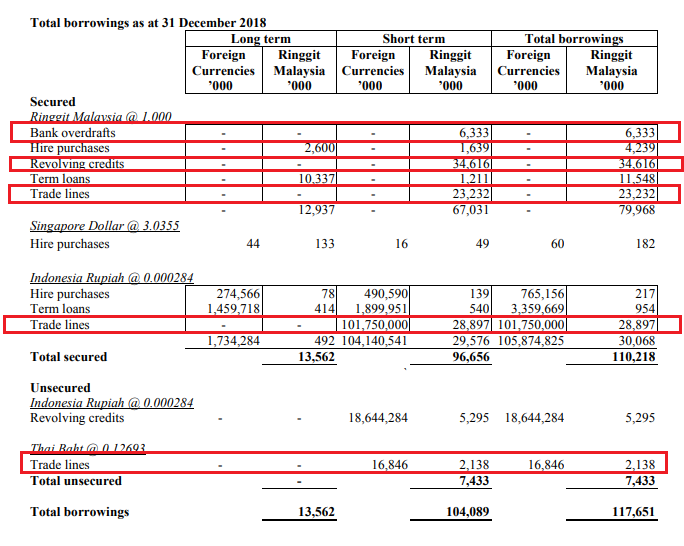 Don’t be fooled by Unimech gearing, looking into its borrowings breakdown, most of the items derived from the trade loans / lines, which are mainly use for overseas business expansion and international trading purposes. Link attached for reference purposes and Loan breakdown as below. 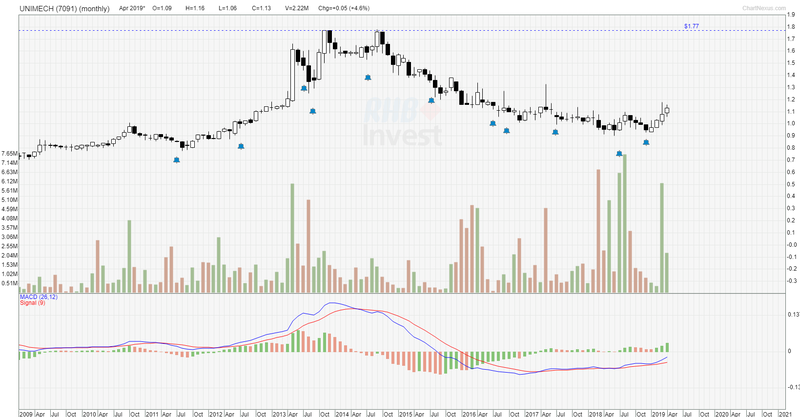 Commentary: On Daily chart, Unimech is forming a symmetrical triangle pending breakout with huge potential upside. Both Daily and Monthly chart shows a potential up thrust back to its glorious resistance at 1.77 which signifies a potential upside of +55.9% versus a potential downside of -7.1% respectively. Disclaimers: Information and comments presented does not represent the opinions whether to buy, sell or hold shares of a particular stock. Information shared above shall be treated solely for educational purpose only. The author may have positions in some of these instruments. The author shall not be responsible for any losses or lost profits resulting from investment decisions based on the use of the information contained herein.